Why Armstrong Vinyl Flooring is more superior to other floorings? Armstrong vinyl flooring is made by Armstrong World Industries. Based in Lancaster, Pennsylvania, Armstrong operates 39 plants in 10 countries and has approximately 13,000 employees worldwide. In 2006, Armstrong’s net sales were $3.42 billion, with operating income of $210.8 million. That’s pretty good for a company that emerged from Chapter 11 bankruptcy in October, 2006! Armstrong vinyl flooring is only one of many products that Armstrong World Industries has made during its nearly 150 year history. In 1860, Thomas H. Armstrong, the son of Scots-Irish immigrants from Londonderry, Ireland, joined with John D. Glass to open a one-room shop in Pittsburgh, Pennsylvania, carving bottle stoppers from cork by hand. Armstrong was a shrewd businessman. He branded every cork that left his shop, and soon included a written guarantee in every bag of corks. The company grew to be the world’s largest supplier of corks by 1890. *If you are looking for the best vinyl flooring for your home then be sure to check out our comparisons and reviews for 2018! Armstrong saw the future of flooring in linoleum, and in 1909 the company began selling linoleum flooring with tiles. The combination of cork and linoleum eventually led to vinyl. Armstrong vinyl flooring has been made with a special formulation called ToughGuard™ since the year 2000, which gives it a dramatic increase in durability. Armstrong vinyl flooring is sold worldwide through distributors, dealers, and remodeling contractors. Today, Armstrong vinyl flooring is leading brand in the United States. Armstrong vinyl flooring is made by either rotogravure or inlaid vinyl manufacturing processes. Rotogravure is essentially a printing process where a pattern is printed onto white vinyl sheet. The inlaid vinyl process is much more complicated. A variety of vinyl granules of different colors are combined to produce a pattern. These granules are deeply etched into the sheet vinyl, producing a more durable pattern. The vinyl in Armstrong vinyl flooring, and every other brand, is composed of two chemicals. Chlorine is obtained from common salt. Ethylene comes from natural gas. Using other chemical additives, vinyl can be made flexible, rigid, or semi-liquid; thick or thin; clear or colorful. Some call vinyl the world’s most versatile plastic material. All Armstrong vinyl flooring features Variable Texture™ technology to create very natural looking patterns and images in the vinyl. The CleanSweep™ finish is scratch and abrasion resistant, making it easy to clean. The ToughGuard™ guarantee protects for twenty years against rips, tears, or gouges under normal household use. Armstrong vinyl flooring comes in several styles. The Natural Fusion Luxury Resilient style is billed as the ultimate in Armstrong sheet vinyl flooring; it is a full 105 mils thick. 2. StrataMax is another sheet flooring product designed for easy installation and toughness. It can be installed without adhesive over OSB, existing vinyl flooring, concrete, or a one-quarter inch plywood underlayment. If it is damaged, once can cut out the damaged area and lay in a new patch using double-sided acrylic tape. 3. CushionStep is a new Armstrong vinyl flooring that adds an extra tactile feeling to vinyl floors. The patented 120 mils high CushionCore layer provides unprecedented resiliency and comfort. This Armstrong vinyl flooring comes with an extra-tough polyurethane finish that protects all of the many intricate patterns in which CushionStep comes. Armstrong vinyl flooring has been one of the world’s favorite flooring choices for nearly a hundred years. It may your next flooring, too.The vinyl used in the Armstrong Flooring comes with the most resistant and sturdy properties that keep the gloss of the flooring intact for many years. The best thing about the Armstrong vinyl flooring is that it is made with ToughGaurd Construction that protects the outer most surface of the flooring form any kind of gouging or tearing affects. Over the years this flooring is been the first choice for many industries and commercial establishments because of its low cost of maintenance. Also the installation of Armstrong vinyl flooring is quite simple and less sophisticated as compared to other types of flooring. One of the most distinguished Armstrong Vinyl flooring features is the Clean Sweep Plus Coating that comes with a aluminum oxide, which protects and prevents flooring from any physical or environmental damages. This makes the Armstrong Vinyl Flooring ideal to be used in the industrial and residential properties. Apart from this, the Armstrong Flooring also comes in wide array or patterns and textures that make it most suitable to fit in to the different shades and interior patterns. You can have the actual experience of wood, stone tile or marble flooring with these patterns because they look more realistic. You will also have the option to choose different geometricshapes and patterns with sharp curves and diamond textures which make the flooring highly attractive and graceful. 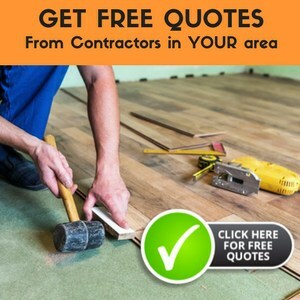 If you have relatively low budget and still want the best vinyl flooring then Armstrong Flooring would be the best choice for you. They come with multi variant properties and are highly affordable even for the residential use. Moreover they provide number of additional benefits that is not been provided by any other kind of flooring.